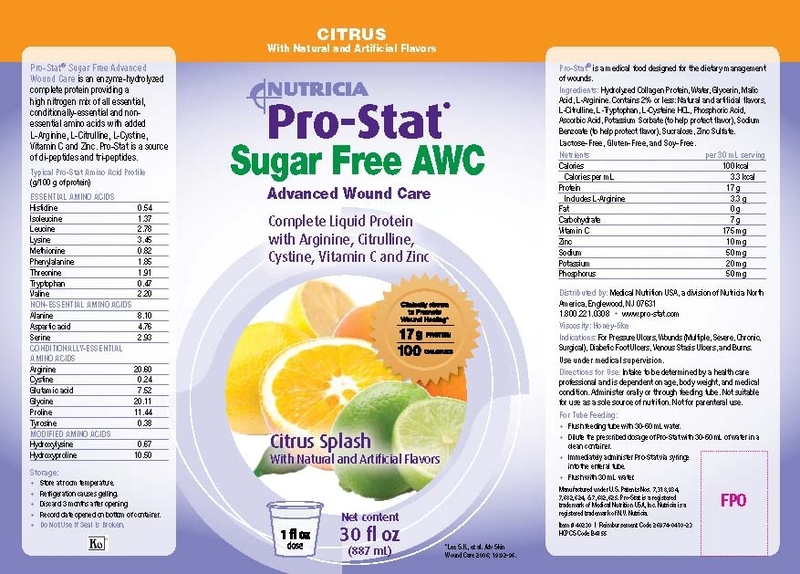 Pro-Stat AWC Sugar Free is the Advanced Wound Care formula that provides 17 g of enzyme-hydrolyzed complete protein and 100 calories per 1 fl.oz serving. 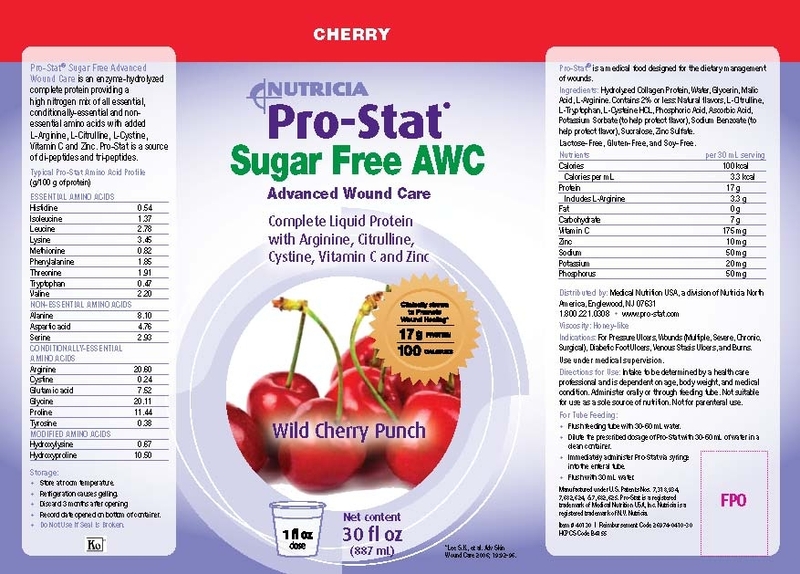 Prostat AWC also as added arginine, citrulline, cystine, vitamin C and zinc. 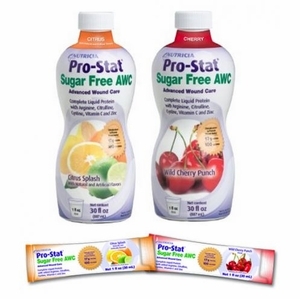 Prostat liquid protein supplement is ideal for those with Stage 3 & 4 pressure ulcers, multiple pressure ulcers, hard to heal wounds, unintentional weight loss, protein-energy malnutrition, low serum proteins and muscle loss. Lactose free, gluten free, soy free, and kosher. Available in 2 flavors.